In January of 2015, the Federal Aviation Administration (FAA) released an 80-page document outlining Safety Management Systems (SMS) for Title 14 of the Code of Federal Regulations (14 CFR) part 121 air carriers. This advisory circular provides a description of regulatory requirements, methods of development, and implementation of an SMS (Federal Aviation Administration, 2015). The release of this document began a race to implement SMS across aviation. An all-encompassing Safety Management System currently does not apply to the manufacturing of airplane parts. This research will examine current safety management processes in place for applicants and holders of supplemental type certificates (STC). Upon review of current procedures, a model for an SMS will be created specific to supplemental type certificate applicants and holders. This SMS process created for STC holders will ultimately improve aviation safety. The FAA should mandate this framework for all applicants pursuing and holding a supplemental type certificate. Operating under a Safety Management System assures a disciplined and standardized approach to managing risks. The best part is we can review past experience and address known hazards at the same time we can look ahead and rigorously apply Safety Management principles to any change or introduction of new elements. The FAA explains on their website that “SMS’s emphasize safety management as a fundamental business process to be considered in the same manner as other aspects of business management” (Federal Aviation Administration). FAA guidance on a structured SMS approach for Title 14 of the Code of Federal Regulations (14 CFR) part 121-air carriers was released in January of 2015. Despite widespread aviation industry acceptance and a strong belief in the benefits of an SMS, regulatory guidance for other aspects of aviation have been slow to follow suit in implementing SMS policies (Federal Aviation Administration, 2014). The FAA’s database of supplemental type certificate (STC) holders contains 43,537 different STC’s (Federal Aviation Administration, 2014); this does not include any pending STC’s. SMS is currently not required for the STC process (Federal Aviation Administration, 2007), which endangers the health and future growth of aviation. 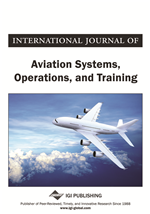 This research will examine what processes are currently in place for STC applicants and holders, review the current FAA mandated SMS processes, and suggest a model for future implementation of an SMS for STC applicants and holders. This researcher will determine a recommended model for an SMS for STC holders. Additionally, if the researcher discovers that minimal or no Safety Management Systems are currently in process—a future plan will be recommended. Flight test and events surrounding conformity of units is extremely regimented, yet very few processes are in place cradle to grave for STC related products. While a product may have some mandatory airworthiness directives, in general, an STC’d product remains available as long as it isn’t the direct cause of a series of accidents. In addition to this concern, limited tracking with regard to historical product safety issues are maintained.